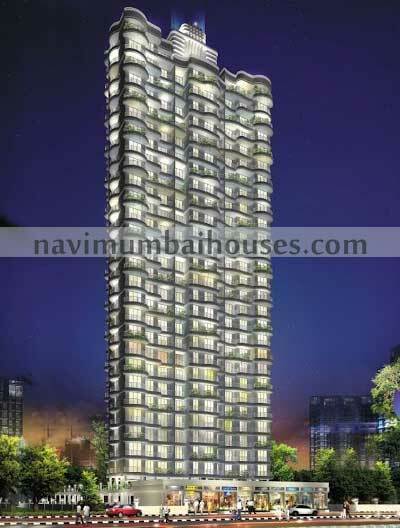 Mumbai a city full of springs so Navi Mumbai Houses provides you with a spring full 29 storied with lavish 2 & 3 BHK located in most awaited areas of Mumbai in sector – 35 (G), Kharghar, Navi Mumbai. The spacious 29 storied tower defines spaces as a new landmark in lush green environment and surrounded by serene hills. Filled with luxurious amenities and all the comforts of life is a paradise with clutter-free life. Wake up every morning in the lap of nature and uncover the surprises surrounded by happiness. Spring project launched by Paradise Group offers 2 and 3 BHK residences with modern interiors. Sai Spring is a magnificent residential project clubbed with high-end features to lead a lavish lifestyle and Among the many luxurious amenities that the project hosts are Carom & Chess & Indoor Games, Nine Ball Pool, Video Door Phone , Power Backup, so the ambience of Sai Spring is serene, calm and peaceful. Navi Mumbai Houses would take an immense pleasure to put springs to your life. The brand new project comes with a pack of surprises for you to explore. Sai Spring stands for a refined lifestyle with contemporary living. The spacious 29 storeyed building defines spaces as a new landmark in lush green environment and surrounded by serene hills. Filled with luxurious amenities and all the comforts of life with clutter-free life. Wake up every morning in the lap of nature and uncover the surprises surrounded by happiness.